Vincent Van Gogh was not alive long enough to see his fame. In and out of the mental hospital, cutting off his own ear, and painting a style of art that repulsed his critics, you wouldn’t imagine at the time that this man some day would be held in so high of a regard. It is shocking to find out how impoverished Van Gogh was while he was alive. In the 19th-century, the famous impressionist movement was born. Like previously stated, the movement got criticism by nearly every “professional” in the field. With Claude Monet at the forefront of the movement, those who painted impressionism were sick of the way art had always been done before. Popular art until this point were pieces crafted in a studio, with fine strokes, posed and poised people, with high contrasts and usually (but not always) a religious nuance. 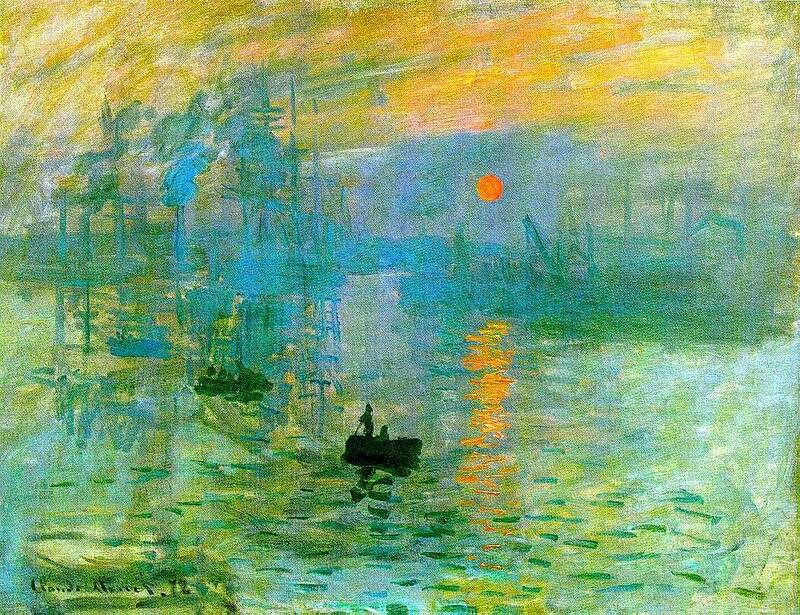 Impressionism was art for art’s sake. They looked at the world in a different light. They took the easel out of the studio and into the gardens and fields. They used heavy brushstrokes to convey motion in their art. They knew that the human eye could only focus on one point at a time, and their art reflected that, in showing textures over details, emotions rather than messages. I like impressionism though not because of the brushstrokes or the flowing paints or the textures, but because I feel like the painters truly understood the world that they were trying to convey in their masterpieces. They refuse to believe that ANYTHING bad happens in the world. After Peter confesses that Jesus is the Christ in Mark 8, Jesus begins to tell the disciples in simple and understandable terms what is going to happen to him. He tells them of his suffering, his sacrifice, and how he will be rejected. After talking about all of this, Peter pulled Christ aside and rebuked him. I feel like Christians today are trying to escape the idea of death. Many atheists say that Christians use heaven as a coping mechanism to escape the idea of their imminent death, and I don’t completely disagree with them. Many people want the cross without the sacrifice. They want eternal life without an earthly death. They want a rapture without a tribulation. Jesus didn’t circumvent death to redeem our souls. He died on a cross. And more than that, he is risen from the dead! So many people talk about a spiritual death to self, a death to their sinful nature, but they are running from the death of their earthly bodies. Christ didn’t ignore tribulation or suffering. He faced death. And that is the beauty of the gospel. The “immature optimist” looks for immediate happiness. The worldview itself is just an ignorant rouse a few simple shakes away from hedonism. They want a deathless cross. They want a resurrection without the defeat of death. They want redemption without a fall. The “immature optimist” has tunnel vision. We need to expand our vision to the Vision of Christ – that there are bad things that happen in this world. There are diseases, there are wars, and there are sinners. It is up to us to be the change for a better tomorrow. We keep thinking that if we put the right person in a political office, or if we vocalize our opinions without action, that the world will change. Or even worse – we think if we ignore the outside world, home school our children, and donate to the Salvation Army at Christmas that we are changing the world. The only way to defeat “immature optimism” is by grasping a cold, hard helping of the truth.